Milan is so much more than home to Valentino, Gucci and Prada. 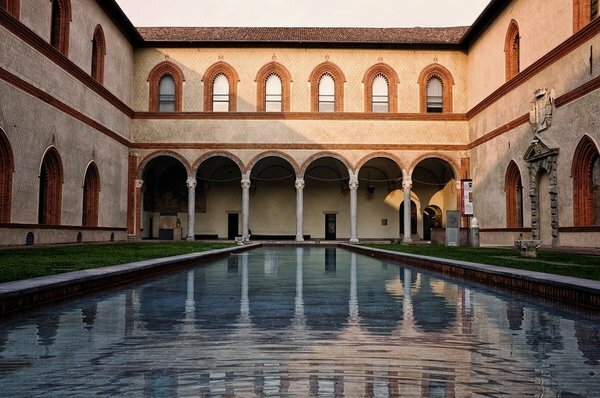 From the tall spires of the Duomo di Milano to Da Vinci’s, Last Supper; from the Museo del Novecento to the Columns of San Lorenzo, Italy’s most populous metropolis seamlessly blends both culture and modernity. The capital of Italy’s Lombardy will not fail to impress the eager history geek or cool fashionista. So put on your walking shoes and that great dress and be prepared to indulge in the beauty that is Milano. 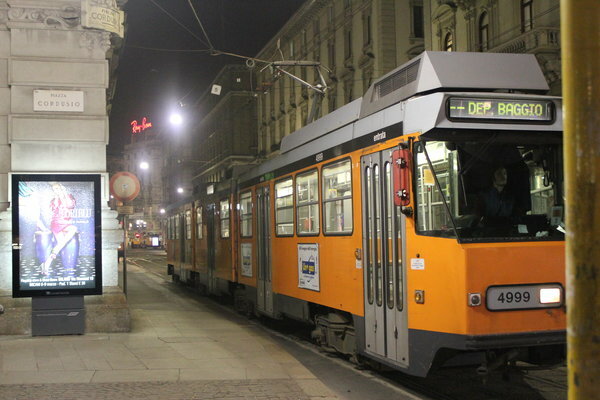 Milan has a well-connected subway, tram and train system. Tickets (passes) for all three modes are integrated and can generally be brought at train stations. Alternatively, cabs are available. Milan was founded by a Celtic tribe around 400 BC. Formally established as capital of the Kingdom of Italy in 1805 under Napoleon. Was also ruled by Celts, Austrians, Romans, Goths, Spaniards, and Lombards. Mozart premiered three operas at, Teatro Regio Ducale. Home to two famous soccer clubs: F.C. Inter Milan and A.C. Milan. 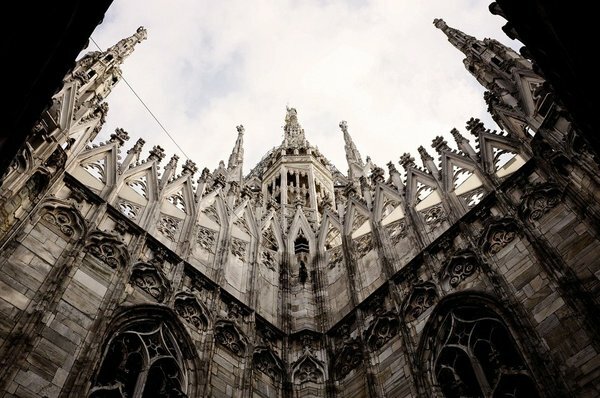 Perhaps the most iconic monument of the city, the Milan Cathedral, dedicated to St. Mary of the Nativity, is the third largest cathedral in the world. Construction began in 1386 and went on till 1965. The cathedral is built in an Italian Gothic architectural style using Candoglia marble, and with its 135 spires and 3,400 statues, it stands at a whopping 158.5 meters. This gallery is located next to the Duomo and is the world’s oldest shopping mall. Named after the first king of Italy, it was built by Giuseppe Mengoni between 1865 and 1877. Unfortunately, Mengoni fell to his death while he was creating the dome; a mosaic bull was made on the spot he died. Visitors are supposed to take a spin on the bull’s balls for luck. The gallery also houses the world’s oldest Prada store. No history aficionado’s trip to Milan is complete without seeing Da Vinci’s famous Last Supper mural (painted between 1494 and 1498) housed in the Dominican convent adjoining the Basilica di Santa Maria delle Grazie. 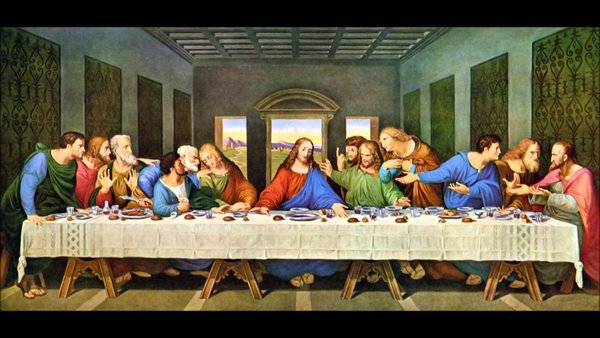 Despite years of restoration, the mural depicting Jesus’ iconic last meal with his disciples is in a fragile state. The blame partly rests with the artist himself who was experimenting with different materials and techniques. Later in 1652, the Dominicans made matters worse by raising the refectory floor and lobbing off Jesus’ feet. Book in advance since tickets sell out fast. Tickets cost €6. Built by the Duke of Milan, Francesco Sforza, in the 15th century, the Castello Sforzesco stands as a reminder of Milan’s defence. This red-brick castle also houses museums of which the Civiche Raccolta d’Arte Antica is the most prominent. Tickets cost €5 but entry is free from 2 PM on Tuesdays. Located in the Palazzo dell’Arengario, the Museo del Novecento (museum of the twentieth century,) is host to a collection of more than 4,000 artefacts. It is a relatively new museum – only inaugurated in 2010, but it used to be fascist Mussolini’s Arengario from where he would deliver speeches to crowds. The ramp will take you through rooms arranged chronologically – the journey of fascist Italy, through the world wars to the present. Perhaps the last vestiges of imperial Milan, the sixteen Columns of San Lorenzo in front of the Basilica of San Lorenzo, were probably relocated to their present location somewhere in the 4th century. The columns also double up as an ‘open club’ at night offering the visitor a unique experience; bars and restaurants surrounding the site (which is lit up) provide you with cheap booze and plastic glasses. Don’t miss out on this experience! Entry is free but be sure to account for food and drinks. Classic music lovers cannot miss this theater which might seem not that impressive on outsides, but completely compensates when you enter to enjoy the show. One of the main scenes of European (and world) ballet and opera starts its season on 7th of December. Be sure to book your tickets in advance. Porta Nuova is the most unusual part of Milan - full of the newly built skyscrapers and modern squares. It is the new center for business life, which is also very appreciated for its public spaces quality by locals and tourists. Get on a walk there proceeding to trendy Isola neighbourhood full of food and drinks locations in its traditional Milanese environment. Hard to believe but once upon a time Milan was full of canals important for distribution of goods around the city. Nowadays only few of them left with two most famous Naviglio Grande and Naviglio Pavese being the centers of nightlife and “aperitivo” culture. Visiting on the last Sunday of the month you can also find the biggest Milanese antique market taking over all the streets here. Newly reconstructed old port “Darsena” also became one of the favorite destinations among locals. The new Milan venue of the Fondazione, conceived by architecture firm OMA — led by Rem Koolhaas is the result of the transformation of a former distillery dating back to the 1910s. It is articulated by an architectural configuration which combines preexisting buildings with three new structures, named “Podium”, “Cinema” and “Torre”. The hallmark of the new venue is the so-called “Haunted House”, a 4-story building, clad in 24 carat gold foil, where pieces from the permanent collection of art of the Fondazione Prada are permanently on display. Located in Largo Isarco, in the South of Milan. 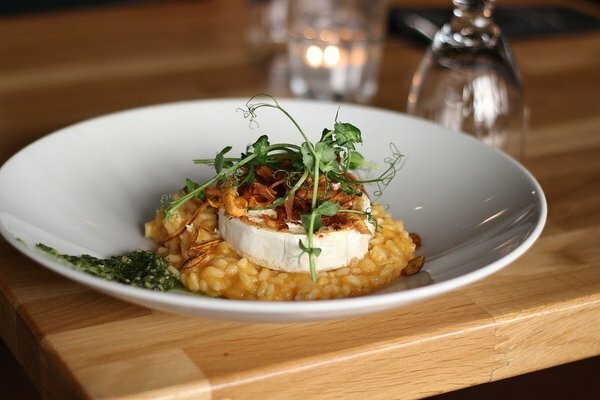 This pan-fried risotto dish is packed with saffron, a main part of Lombard cuisine after Arabs introduced it. Try it at Trattoria delgi Orti. Traditionally a poor man’s dish, Mondeghili are succulent meatballs made from beef, sausage, salami and liver. Try it at Osteria dell’Acquabella. This casserole includes veal shanks braised with white wine, broth and vegetables. The shanks are then fried, simmered in the broth for two hours. Try it at La Dogana del Buongusto. One of the most famous dishes from Milan. is a fried cutlet similar to Wiener Schnitzel, but cooked "bone-in". It is fried in clarified butter only and traditionally uses exclusively milk-fed veal. Try it at Al Garghet. Via Selvanesco, 36. If you visit Milan around Christmas time you cannot miss this most typical local sweet bread loaf. It is made during a long process that involves curing the dough, which is acidic, similar to sourdough. The proofing process alone takes several days, giving the cake its distinctive fluffy characteristics. It contains candied orange, citron, and lemon zest, as well as raisins, which are added dry and not soaked. If you prefer the authentic feeling try it at Panettoni G. Cova & C., for modern style go to Pavé. As you soak in Milan, you might realize what they say about the city not being as pretty as Rome or Florence, is not true. Milan has its own charm. Destroyed by World War II, it has rebuilt itself over the years as both a center of culture and commerce (in fact it is home to Italy’s stock exchange), trade and tourism. It is not the fashion-obsessed city it is believed to be, but so much more. Be sure to pick up some Italian while you are there. The locals always appreciate the effort.